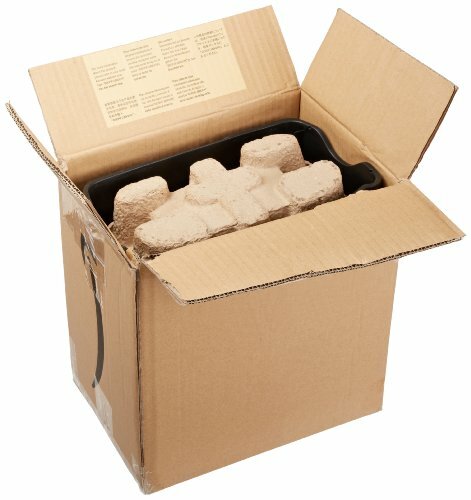 Cheap, basic and good value for the price! 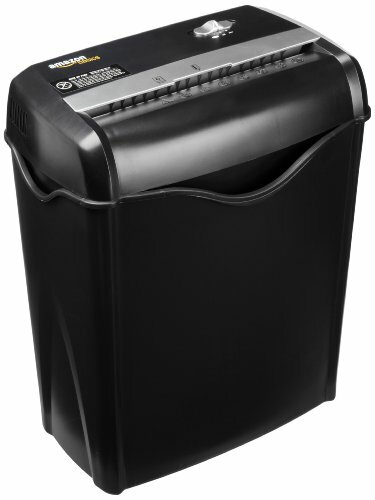 AmazonBasics is a light shredding machine with middle of the line security and capacity. It's a number 1 seller in the paper shredder category on Amazon and it's clear to see why that is. The AmazonBasics 5-6 Sheet Cross Cut Shredder is the #1 bestseller in the Shredders category on Amazon. Take that with a grain of salt, as it is Amazon’s own product, but it’s a useful little shredder regardless of any bias the company may have. It’s simple and straightforward, and you really do get what you pay for: a basic shredding machine. Specifications state that this shredder is able to take 5 to 6 sheets of A4 paper at a time, with a continuous run time of two minutes. Afterwards, there’s a mandatory cooling down period of around 30 minutes. Pretty standard, generally speaking, but don’t expect to tackle several months’ worth of paperwork all in one go with this machine – you simply won’t get very far very quickly. This machine is more for occasional use, for those of you who like to keep their shredders at hand for random bits of sensitive documents that come your way. 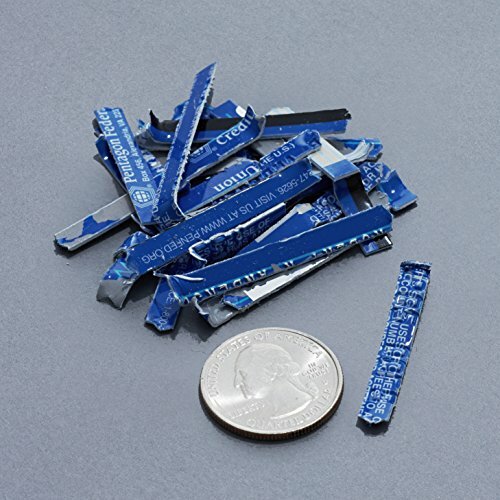 The strips are cross cut, measuring approximately 0.56 cm by 4.68 cm. It’s not the smallest cut available, but sits in the middle between regular strip cut and micro cut in terms of size and security. It won’t necessarily reduce your sensitive stuff into confetti, but it will deter most if not all thieves that may root through your rubbish. The AmazonBasics 5-6 Sheet Cross Cut Shredder is best for light usage at home, but is still pretty sturdy for its size. There’s a designated slot for credit and debit cards, which can be inserted one at a time, and small paper clips and staples don’t need to be removed prior to shredding, so you won’t have to manually remove all the metal bits from your papers. Most shredders should be equipped with a manual reverse to clear jams, and this AmazonBasics machine isn’t any different. Although it doesn’t have wheels, there’s a manual reverse as well as an auto start that helps clear away any paper bits stuck to the blades. However, you won’t be needing to use this feature very much, as jams aren’t too common. You do need to take care to align your papers properly when feeding them into the shredder, as misaligned sheets can lead to jams. This AmazonBasics shredder is smaller than most others, measuring at 38.1 by 30.7 by 19.6 cm; it weighs just 3.7 kg when empty. The bin holds up to 14.4 litres of waste, and depending on how often you use it, you will have to empty it a little more frequently than you would with similar brands. However, with a run time of only 2 minutes, I reckon you likely won’t run into this sort of issue. Also, although it is light overall, the top is relatively heavier than the bin itself, so you must make sure everything is secure after you empty the bin. Otherwise, it’s likely to topple over and create a mess when it comes time to empty the bin once again. The AmazonBasics 5-6 Sheet Cross Cut Shredder is relatively quiet, measuring at 70 decibels. For comparison, the average dishwasher is 70 decibels while a blender is 80 decibels; generally speaking, people find noises at the upper 70s to be annoyingly loud. 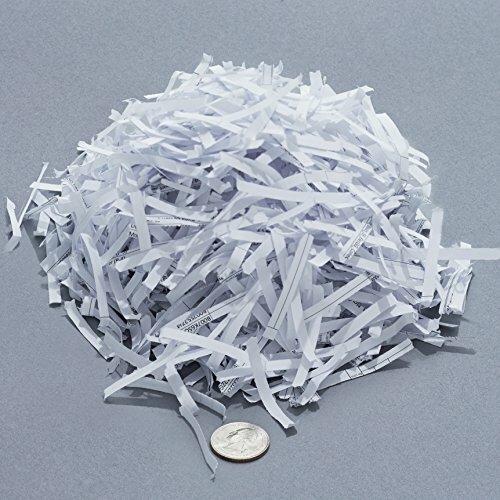 Whether it is too loud or not depends on your comfort level, but it’s important to note that all shredders will emit a good amount of noise, particularly if they’re handling tougher materials, like plastic in credit cards. Some users have noted that 5-6 sheet shredding capacity is optimistic at best, and that the machine struggles with 2-3 papers at a time. This of course drastically decreases the operation time, further limiting the shredder’s ability to make good time on a pile of work. However, most shredders, in my experience, overstate their sheet capacity, and the AmazonBasics 5-6 Sheet Cross Cut Shredder is no different. Like many Amazon-made products, this machine comes with an AmazonBasics 1 year limited warranty. If your shredder proves defective, Amazon will either replace the product, repair the product, or refund part or all of the price paid for the product. Generally Amazon is rather good about this, as long as you don’t blatantly try to scam them out of a brand new replacement. 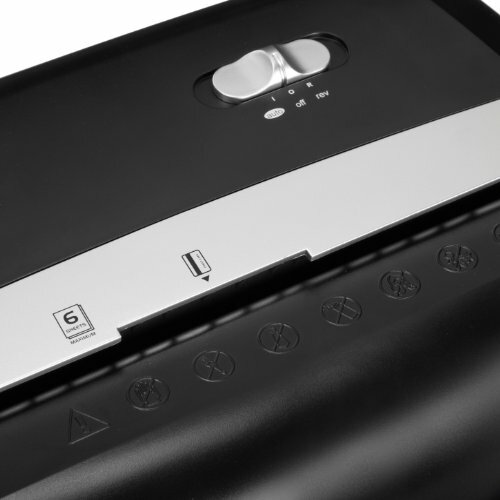 Overall, the AmazonBasics 5-6 Sheet Cross Cut Shredder is a robust little machine that’s cheap, basic, and a good value for the price. To be perfectly honest with you, nothing really stands out about this product, neither good nor bad. Then again, it’s not meant to be a spectacular sort of wonder, but a reliable machine that’s perfectly capable of what it’s made for. 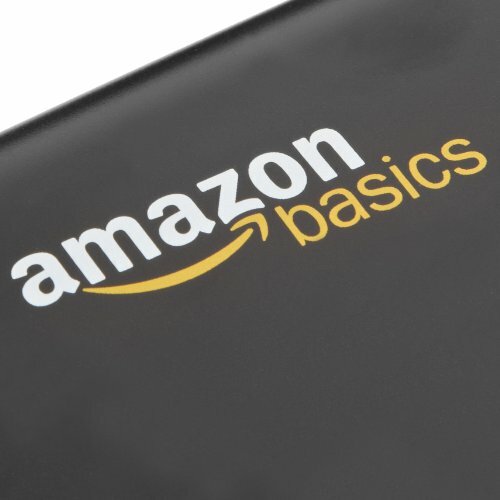 The AmazonBasics line is pretty self-explanatory – these products are basic and affordable necessities for everyday life. What is a Paper Shredder?